This fit in very easily with my full-time job as they also have weekend sessions available and the practical cooking training was held in the evening. I remember feeling very nervous arriving to my first training session. I was starting something new and have always had a fear of change. But change was what I needed so I was also very excited. I was also worried I wouldn’t know enough because my Thermomix hadn’t arrived yet (I ordered my TM5 shortly after it was released and due to the high demand there was an 8 week wait). I had only seen a Thermomix in action once. Yes that one time was enough for me to fall in love with it but was it enough for me to know what we were talking about in training? In the end I had nothing to worry about. The training included plenty of product knowledge and opportunities to get up and have a play with the machine. Sure there were other consultants in my training group that had had their machines for years and were raving fans but we were really all in the same boat. The training also catered to all learning styles. I am very much an auditory learner. I like to sit and take it in, process it and then ask my questions. Usually by this time someone else in the group would ask the same question I was about to ask. And this just helped to put me at ease and focus on the training instead of any internal fears (like fear of public speaking). 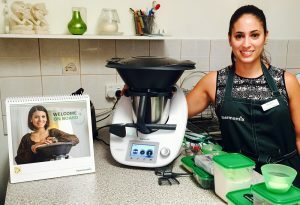 During my Base 2 Training my consultant contacted me to let me know my Thermomix had arrived. I was so excited it had arrived early that it took me awhile to get focused on the rest of the training but I did! 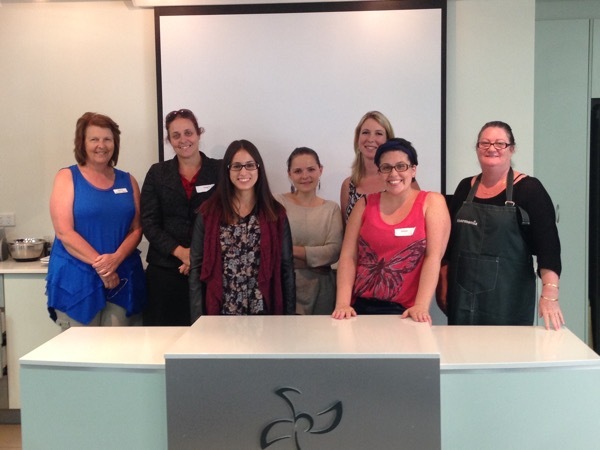 And not only did I learn a lot about my Thermomix business but I had a lot of fun with my training group.